Have you heard of the Magic Flight Launch Box? 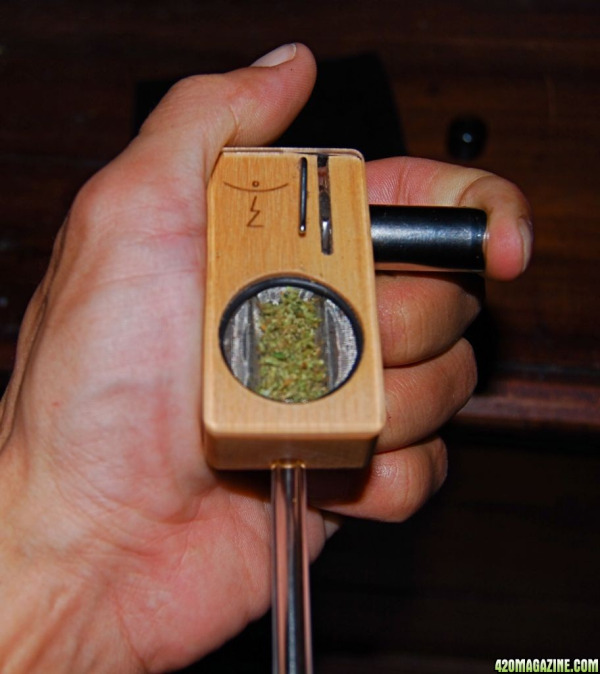 It has been deemed the world's best portable handheld rechargable herbal vaporizer. I bought my first piece at a music festival when I was 15. It cost $60, a nice glass bowl that I still use to this day. But I'm not using it as much. About a year ago, a friend of mine bought the Magic Flight Launch Box off their website. He's more of an aficionado when it comes to the this stuff, and I wanted to write this off as a fancy toy that I couldn't possibly use, but when another friend bought one a couple of months later, I couldn't resist looking into the idea more seriously. One night I took a chance. I hoppe onto Amazon.com and found a Magic Flight Launch Box for around $70. It arrived the following week. It came with a maple box vaporizer, two pre-charged batteries with charger, a cleaning brush and draw stem, a nice tin box and very clear instructions. Oh, and a lifetime warranty. I was impressed by the packaging and clarity around my new toy. I'd liken it to opening up a new Apple product. There was no whoosh when the box came off, but you get the idea. 1) I need a lot less substance. I only have to take one or two small hits to start feeling something. My supply now lasts a lot longer. Unlike the ash one might find in a joint or bowl, I can save the vaporized scraps from my Magic Flight Launch Box for edible treats. Special cookies here we come. I feel like I'm getting full value here. 2) The high is smooth and consistent. With one or two hits, it comes on in about 3-5 minutes and lasts a few hours. I find myself able to work out. To cook. To read and write. To talk on the phone. It's become a kind of enabler for me, allowing me to sit at a desk and crank through busy work. I don't need it, but it makes focusing on the task at hand a little easier. With the Magic Flight Launch Box's design and various accroutements, it's an easy product to use, clean and store. Highly recommended if you're not keen on shelling out a few hundred bucks on a much larger vaporizer. Upgrade your device. Save your money! Save your lungs!